My artist friends and I have much in common. Some of those things are fears. They hold us back from becoming the successful, life-change creative forces that we were born to be. I have worked for 10 years in journalism, public relations and communications. I’ve worked for large corporations, small businesses and even owned my own business. In that journey, I have learned how to overcome some common fears that creatives often have. Over the next few days, I want to share a presentation I gave at Creative Control 2, and give some practical tips on how to breakthrough what holds you back. Though I have always known I was a writer, I haven’t always known what to do with this skill. I turned 30-years-old, and I was working for a book publishing company, and running my PR business. I was working under my potential and feeling very unfulfilled in my career. Luckily, two things happened; I got fired and got accepted into the Medill School of Journalism at Northwestern University. What I learned in my year in school is that health was an important theme in my family and community. I had my own health problems, and in the past few years my family had seen highs and lows with their health. Rooting my work in my family and community was important to helping me find my focus. I believe that many of the problems in our communities have creative solutions, and as artists it’s our job to connect our passions to meaningful causes. Our work should also be rooted in our family in other ways. Our relatives pass down their looks and personalities, so they most certainly pass down their artistic abilities. I had an aunt who lived to be 103, and she crocheted every day of my life. One of my biggest regrets is that I never sat at her knee, and learned how to crochet. A lot of our relatives may not look at themselves as artists, but they certainly were creatives. My family is full of musicians, writers, amazing cooks and great thinkers. they serve as the creative foundation to who I am today. Tapping into those inherent gifts has helped me to find focus in my career. Art is not just a gift for the world; it is also a gift for yourself. Use your creativity to relax, have fun and pursue things that you love. Throughout my career, I have always covered music and art just because it is something I love. I did it, at times for little or no pay. Your passion isn’t always there to make you monetarily rich; it can also make your soul rich. Jeff Goodby is the advertising executive genius behind the ‘Got Milk?’ and Budweiser Lizards marketing campaigns. 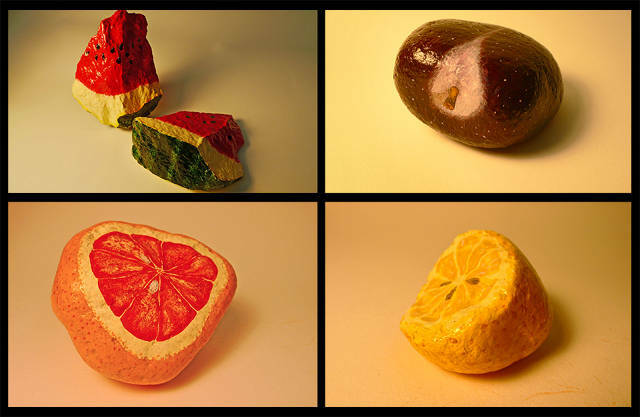 But in his spare time, he likes to paint rocks that look like fruit. He does this because it is fun and it helps him to use another part of his brain. Using your art to help the community is important, but also use your art to help yourself. 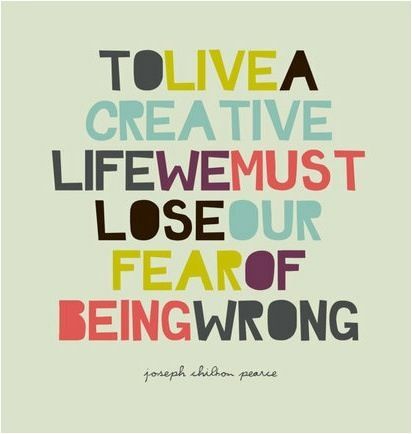 Want to work past your other fears as a creative person? Make sure you come back to www.DonnaMarbury.com to learn from the rest of my 4 Fears Stopping Your Passion Series! Previous postI’m speaking at Creative Control Fest in Columbus!